Special post : Celebrating 9 years in style! On 11th January 2014, house88kend turned 9! Updated- 9th Anniversary Party – Held on April 12th, 2014 , Photos HERE. To commemorate this 9th Anniversary, a handful of talented, awesome and lovely comic doodle/bloggers drew their own version of Natsuko and me with them! Do check them out below! Honestly, this made me laugh! He is one awesome bro! Once you see this, you will remember it forever…. by Ernest from Bro dont be like that la bro..
Now this is interesting! It’s like Natsuko has been created by me to be a weapon of mass destruction! Time to take on the world! Now now, am I really cute with wings? Well, thanks to Comics for everyone, now you can see! Cuteness overload! I always smile when she draws me her doodles! Really cute and nice! 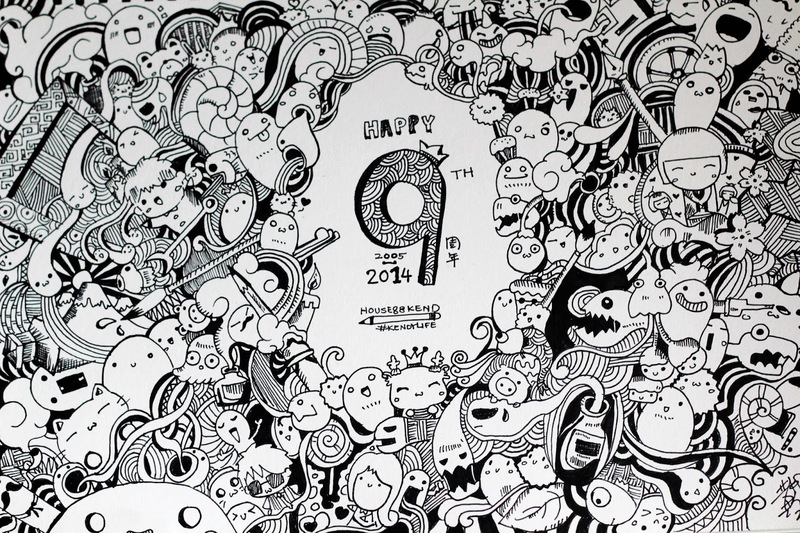 I like the way he illustrates and shows the meaning of the number “9” in his cute doodle! This is a surprise! Eric’s blog shares the same anniversary date! Really love his illustrations! « It Happens all the time! Happy Anniversary! Congratulations Kendrick!!! So happy! Congratulations and Happy Anniversary Kendy! Proud to be a supporter!